I have 11 years of experience in game development and In the last years I worked as a game designer and producer, leading small teams that developed several mobile games, strengthening IP’s, pitches, proof of concepts and prototypes in diversified projects for big companies like Samsung, Oculus, Google, Cartoon Network, Nickelodeon, Dreamworks, Sony, EA and many others. My main goals are producing fun games and unique experiences for everyone, in every platform. I am creative, dedicated, trustworthy and always eager to improve on my own skills, I wish to be able to learn and develop them even more, working side by side with some of the best talents in the industry. I was working as a Lead Producer at Black River Studios arranging and leading the team to develop high quality games on time for cutting edge technologies. Now I'm currently working as Senior Producer at Archiact, leading the mobile VR/AR team to produce the next generation of awesome games that you are going to play. 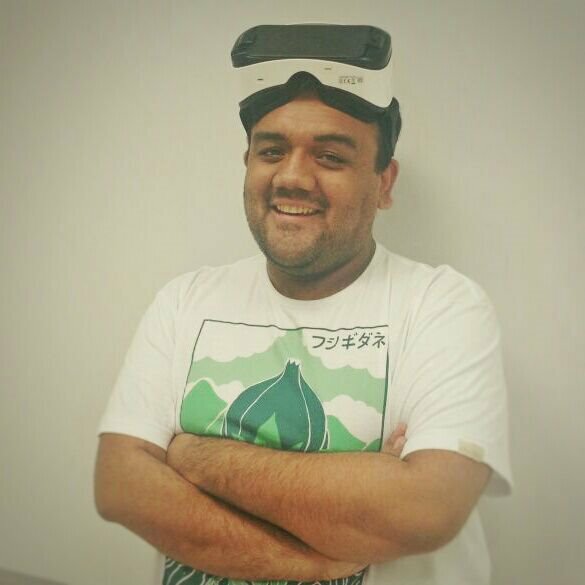 I’m currently working as a Senior Producer at Archiact and I’m responsible for the mobile VR/AR team. We just shipped the game Hidden Fortune on Gear VR (Controller launch title) and now we are working in the next chapters of this project. I’m always looking for new opportunities for our team so feel free to reach me (ed.lago@archiactvr.com) and exchange some ideas. I worked at Black River Studios as a Lead Producer organizing and leading the team to develop high quality games on time for cutting edge technologies. I worked in the studio strategy of the studio for 2017 and 2018 and I did mentoring for a bunch of team members and mostly for the new producers of the studio. I organized two internal jams for upcoming projects in VR and mobile for the next years, I defended the team with external boards from Korea/India and established partnerships with publishers like Oculus and Google. I worked in the promotional/marketing side of Black River Studios projects and social media accounts as well. I did a lot of research and development with a small team doing internal demos for upcoming technologies like AR and motion controls for mobile VR. This helped me in my task of doing evangelization of virtual reality around many events that I attended. I worked as a game and level designer, leading a small team that developed a lot of mobile and tablet games, strengthening IP’s, pitches, proof of concepts and prototypes in diversified projects for big companies like Cartoon Network, Nickelodeon, Sony and few others. I worked as a junior game designer of casual and educational games in flash for public schools. I learned the basics of prototyping mechanics, level design, system design and pitches. Worked as a designer intern developing the demo for the game: “Ayri ­ Uma Lenda Amazônica” using the Torque 3D engine. My role was modeling some assets and working with several aspects of level design. It was my first contact with game development in the graduation time. Finding Monsters for Gear VR received honorable mention in Best Game and Best Art.